How often do you gift this gift to donors? I’ve personally declared November ‘Gratitude for Blessings’ month. For me, this means finding opportunities to demonstrate gratitude. And today I’m grateful for you, my readers. Whereas donors are the center of your nonprofit’s universe, you are the center of mine. When I can’t share my ideas, it almost doesn’t matter that they exist. You are the reason I write. I love helping people. Thank you for giving me the opportunity to do what I love, and to be of service. 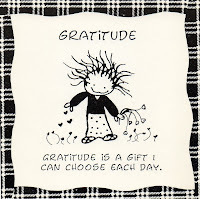 Since I’ve found that gratitude is often a two-way street, I’m going to give you something today. Something I usually charge good money for! It’s something that I hope will dramatically change – and improve – how you approach your donors. And this change can happen for you in just five days. There’s one catch: you have to put aside 45 minutes/day for five days. If you’re resistant to change, read no further. This post isn’t for you. If, however, you have a hunch you might be able to move from good to great, then… read on (oh, and there’s a little bonus ‘gift’ at the end). What I have for you is something you can do this week (or you can pick another week on your calendar that isn’t already overfilled with appointments, assignments, meetings and what-not). It’s really simple and really powerful. But you’ve got to dedicate the time. Go ahead. Find yourself a week where you can dedicate just 45 minutes/day to find out what ‘donor-centered’ may mean to your constituents. 2. Pick five things on your list. 3. Do the five things. 4. Consider what five things you’ve learned. 5. Make an action plan to change how you approach donors based on what you’ve learned. · Comes to your website. · Gets your event invitation. · Gets your fundraising appeal. · Gets a catalogue, brochure, flier or other mailing from a program. · Calls your front desk for information. · Comes to an event. · Participates in a program. · Has friends or family involved as participants. Just pick five. If you look at one thing every day, you’ll have some valuable insights by the end of the week. You can always do more later if you wish. · Visit your website’s home page on every device you can think of. Desktop. Laptop. Tablet. Mobile. How user-friendly is it? Is your mission clear? Is your contact information obvious? Does the “donate” button stand out? Is it emotionally compelling? Can they find financial data? Do you appear transparent and trustworthy? · Sign up for your e-news or your blog. What benefits are promised? What kind of response do you get? How does the process work on mobile? · Make a donation. How many clicks does it take? How tired do you get? What kind of thank you/confirmation do you receive? Is the electronic confirmation followed up by a thank you letter? Do you receive information about the impact of your gift? How does making the donation make you feel? · Call your front desk. Do you get a live person or a message? What does the receptionist say? Do they refer you immediately to the right person? How do they make you feel? · Call one of your programs and pretend you’re a customer/client. Your admissions office, box office, volunteer center, after-school program, adult education center, homecare service, recreation program, advocacy center, retail store. How is your call handled? How do you feel? · “Google” your nonprofit (and your E.D.) What comes up? · Search for your organization on Guidestar and/or Charity Navigator. Are you happy with the way you’re presented to the world? If you and a friend have both done this, compare notes. What surprised you? What did you find to be user-friendly, and could you do more of that? What didn’t work that well? Where does your organization put its best foot forward? Its worst? Compile everything you’ve learned and turn it into an action plan to improve your user-friendliness, complete with a timeline (i.e., hold your own feet to the fire). To make sure you actually follow through, strive for no more than three changes in each of the five areas you selected and explored. Think about what your donors, and would-be donors, might want from their interactions with you. More information? More live people with whom to connect in real time? More personalization? More opportunities to get involved? More stories of how you make an impact? More gratitude? Once you know, you can put in place strategies to WOWthem. Bonus ‘gift’: Deliver happiness. I offer this to you as a thought/mantra for the month. Wherever you can deliver happiness, do so. 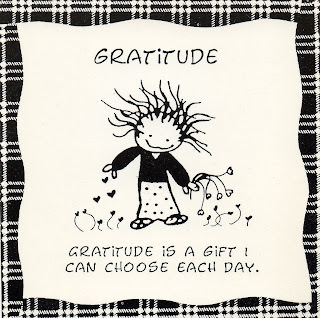 Whenever you can find an opportunity to demonstrate gratitude, do so. Here’s a Delivering Happiness website to get you started with ideas and inspiration. I love the motto of this site: “nudge the world to a happier place.” Isn’t that almost the job description for us nonprofit (especially development) folks? Nudge happiness. For you and for your donors. Go forth. Center on your donors. Gratitude has two sides. Happy November. Please share your results with me and others. Let us know what you learned, what challenges you discovered, and what changes you decided to put in place. And please feel free to contact me personally if I can be helpful in any way as you move forward on your journey towards becoming a donor-centric organization. Great post, Claire! I always put myself in the donor's place (because I am one) and see how I feel about how the organization relates to me. I encourage all fundraising professionals to become donors to their organizations. WHat better way to tell the story with passion? Thanks Betsy! So glad to have you hear. It's a great idea to put yourself through your own processes every now and again to make sure everything still looks sharp and shares the message you want to share. I'm grateful for your posts Claire, they always give me so much to think about and inspire me write in creative, inspirational ways. Great information for our nursing home ministries. Thanks so much for sharing this with us today. Hi Claire! These are wonderful and specific tips. We can read all we want about being donor-centered, but what better way to understand donors than to BE donors? I'm just curious, when you have clients do this exercise, are they often surprised at what they find? I really like the concreteness of your steps and the feedback loops. I can imagine the process is really enlightening and eye-opening for some people. Thanks Clay. And, yes, it can be eye-opening. We sometimes get really tunnel-visioned about our own stuff. It's good to get an outside perspective. Thanks for this, Claire. It reminds me a bit of The Happiness Advantage – maybe you've inspired a new post for me! I like how tangible this is. Any reason for five things instead of 1 or 3? These are great suggestions for anyone at any time involved in philanthropy! Thanks Emily. 5 days in a work week. Pick 5 ways your donors interact with you. Then, explore one of these ways every day of the week for one work week. Amazing what can be learned!